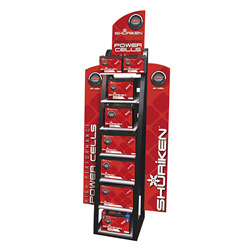 Shuriken Graphic Kit for SK-RACK Floor Display Stand. 2 side stickers and 1 header sticker included. Floor stand and dummy batteries not included.